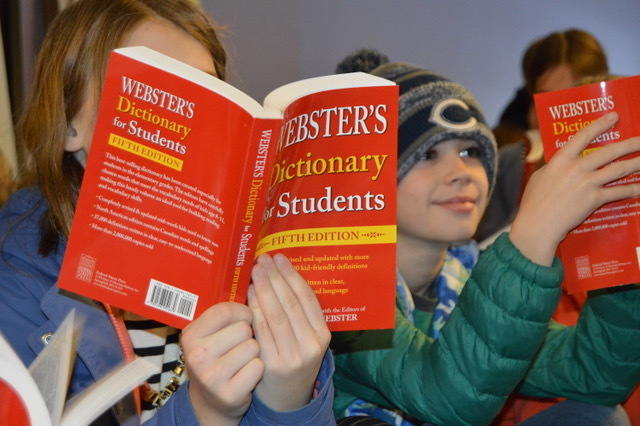 One of our favorite days of the year is the day we pass out dictionaries to EVERY third grader in our town. 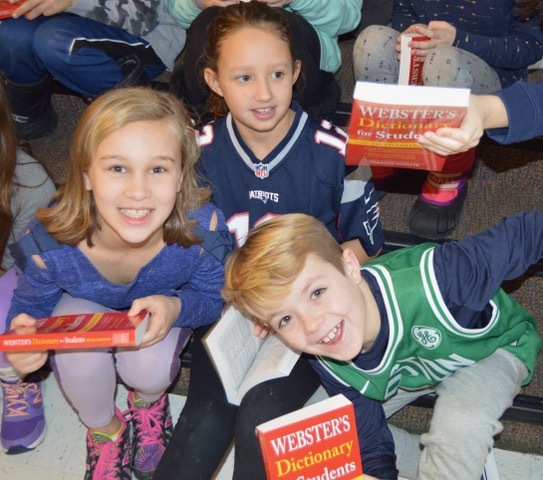 Each year we get the head count of the Deer Hill School's third graders and order their personal Webster Dictionaries. Then a half dozen Rotarians go into the school and present them at an assembly. We give them a little information of what Rotary is all about - many recognize the wheel symbol as it's on the local highway stating our club meetings. We let them know our club loves to support them all the way through their education in Cohasset from Dictionaries to Eagle Scout projects, supporting their future volunteering with the ASP (Appalachia Service Project) and the Interact Club, and special programs which are brought in with our grants right through their potential scholarships to college. 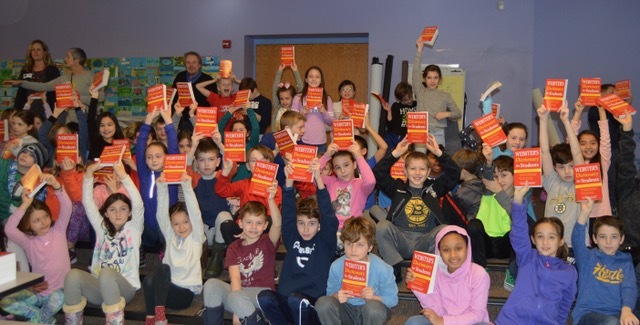 Because literacy and language arts are the key to education, Rotary would like to get a dictionary into EVERY third grader's hands world wide and we love to support that initiative. 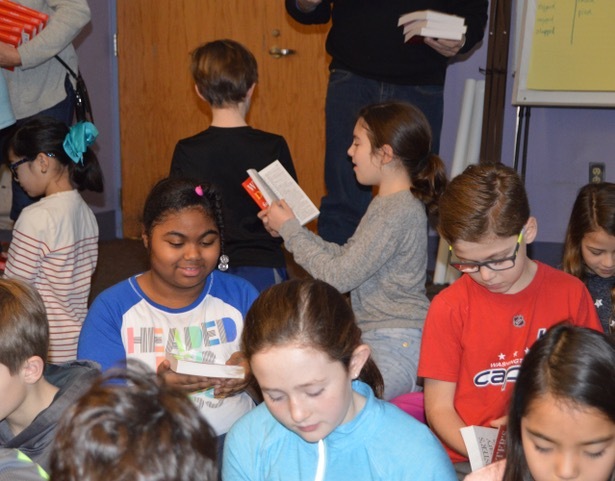 An educated person has the potential to be a contributing member in their community supporting themselves and serving others.